Unique in terms of design, Baia Rosie Resort can be considered a mix between history and art, with a modern and graceful finish. 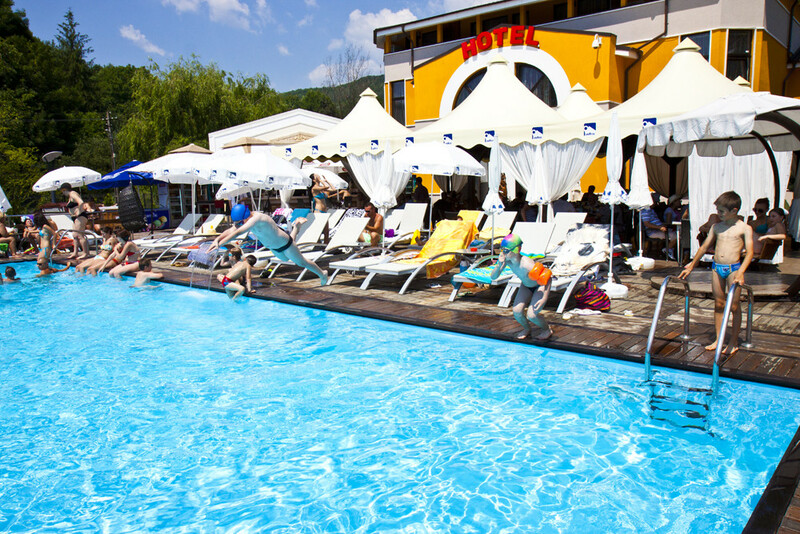 Baia Roșie Resort includes: swimming pool with salt water captured spring, a bar, a miniature golf, a freshwater pool, jacuzzi, traditional and international cuisine restaurant, terrace, parking, playground for children. The pool area is equipped with sun loungers and a shower area with hot water. Near the pool is a bar and the jacuzzi. The maximum depth of the pool is 1.55m. 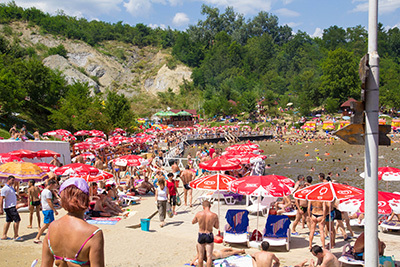 The Baia Roșie salt lake is known for its therapeutic effects in the treatment of conditions such as rheumatism. The color and the transparency of the salt lakes of Slănic vary depending on their composition. The saltwater swimming pool Baia Roșie (Red) received this name due to the presence of iron oxides in water that prints a reddish hue. The salt pool has two depths, the first being for children, with a depth of about 1 m, and the second with a maximum depth of 3m. The salt swimming pool has an area of ​​680 m2, and the water has a salinity of about 130-260 g / l.